Is Cyberattack on Sony Disruptive Enough to Constitute an Act of War Against US? The government of North Korea’s suspected involvement in the cyberattack against Sony Pictures Entertainment has not been officially confirmed. North Korea is suspected of hacking Sony in retaliation for an American comedy film about a fictional assassination attempt on leader Kim Jong Un. Mike Rogers (R-MI), the chairman of the House Intelligence Committee, recently told the Los Angeles Times that North Korea is likely behind the Sony hacking scandal and federal investigators are getting close to confirming that. Kim Masters, the editor-at-large for The Hollywood Reporter, in an appearance on CNN, echoed Rogers comments, saying North Korea is likely the culprit, adding that Sony refuses to admit it. Does the Hacking of Sony Constitute an Act of War? According to definitions by both the White House and the Pentagon, a cyberattack emanating from a foreign country constitutes an act of war. States have an inherent right to self-defense that may be triggered by certain aggressive acts in cyberspace….When warranted, the United States will respond to hostile acts in cyberspace as we would to any other threat to our country All states possess an inherent right to self-defense, and we recognize that certain hostile acts conducted through cyberspace could compel actions under the commitments we have with our military treaty partners We reserve the right to use all necessary means–diplomatic, informational, military, and economic–as appropriate and consistent with applicable international law, in order to defend our Nation, our allies, our partners, and our interests. The Department will work with interagency and international partners to encourage responsible behavior and oppose those who would seek to disrupt networks and systems, dissuade and deter malicious actors, and reserve the right to defend these vital national assets as necessary and appropriate. Both the White House and the Pentagon list intellectual property and identity theft as a form of cyber crime. However, they do not spell out when a cyberattack is serious enough to constitute an act of war. David Inserra, a research associate for homeland security and cybersecurity at The Heritage Foundation, told Breitbart News that the Sony cyberattack is not disruptive enough to merit an act of war or an act of cyber terrorism label. 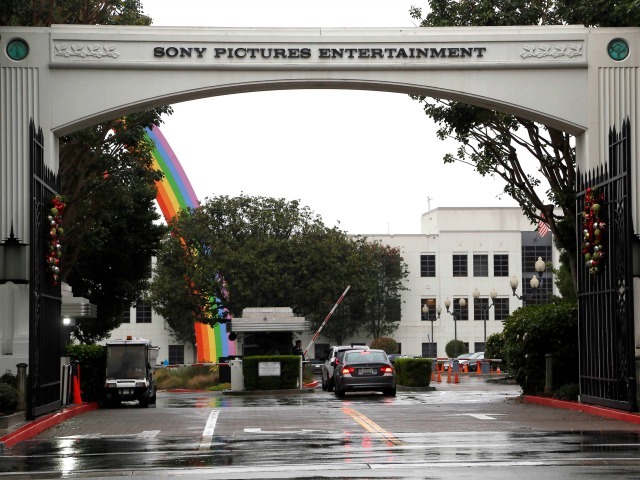 Sony hackers stole unreleased movies, which they later leaked. They also obtained and released salary information and Social Security numbers for thousands of Sony employees, including celebrities. North Korea has denied any involvement in the hacking Sony, but has hailed the attack as a “righteous deed,” reports BBC. Moreover, the communist country has warned that releasing the American comedy, The Interview, would amount to an “act of war,” the Associated Press reports. America will face “stern” and “merciless” retaliation if the American government does not block the movie’s release, an unidentified spokesman for North Korea’s Foreign Ministry said in state media, according to AP.